This is the sixth chapter of The Ultimate Guide to Carpets. Once you have decided between wall to wall carpet or carpet tiles, or a combination of both, look into the specific properties required for each area of the project. Are there areas of heavy traffic use? Open plan areas where extra acoustic control will be required? What does the longevity of the carpet need to be? Are there areas in use 24/7 where access for cleaning and maintenance could be an issue? 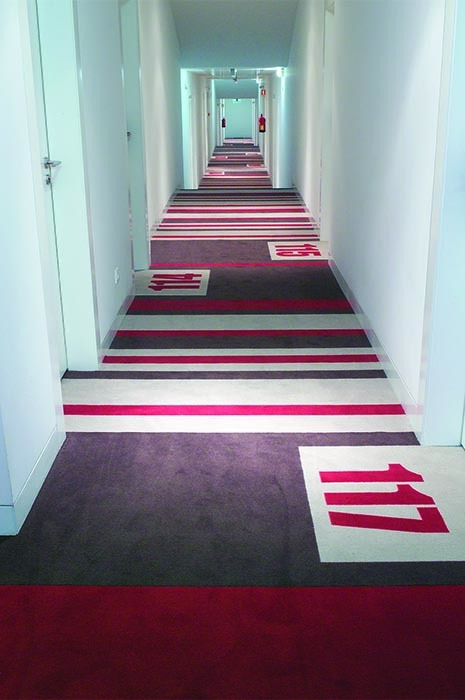 All commercial carpets are rigorously tested and classified for suitability for a variety of end uses. Once you know what these classifications are you will be able to work with your custom carpet supplier to choose the most suitable for each area of your project. 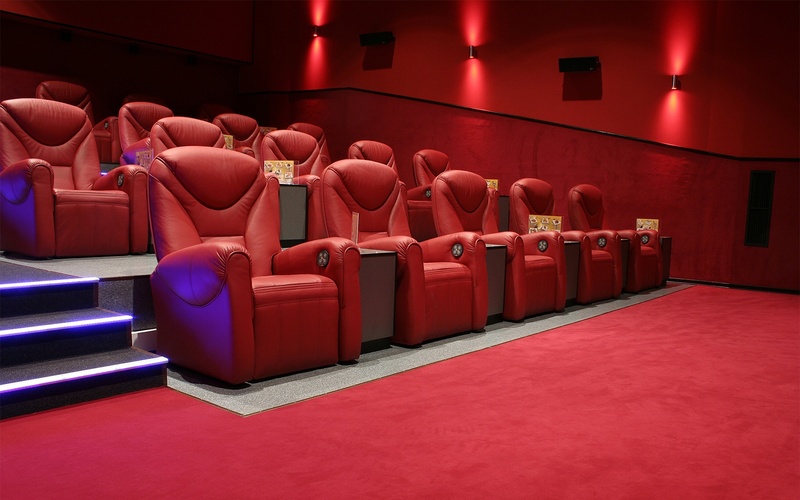 Backing materials and types of cushioning also have an impact on aspects such as underfoot comfort, longevity, appearance retention and acoustics and should be selected with care in consultation with your supplier. New dye-injection technology has made custom carpet and carpet tiles achievable faster and more cost-effectively than ever. The only limitations are the project budget and your imagination. 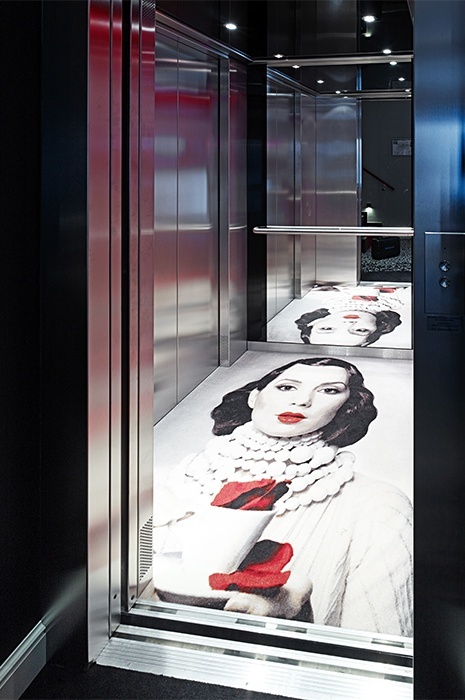 Carpet’s versatility as a design tool opens up a vast range of exciting possibilities. Your choices of colour and pattern, however, will be affected by factors such as the lighting in the space and the need to camouflage soiling that could build-up between vacuuming in areas subjected to heavy foot traffic. Taking a range of samples on site and comparing them on site will help you narrow down your decisions. 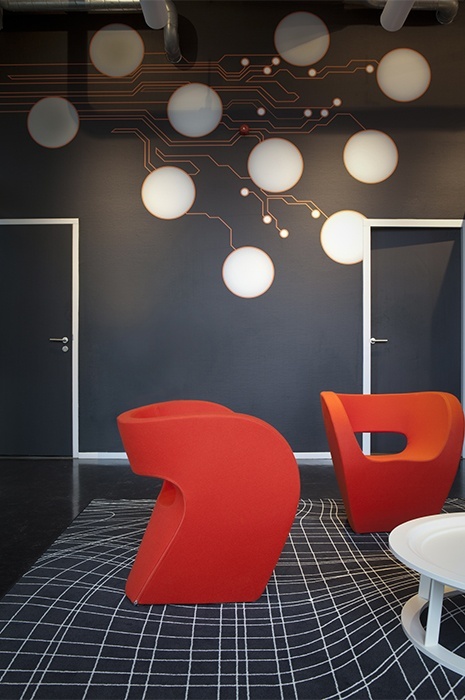 Of course, if you want to tell a unique story throughout your project you will be looking to customised carpet. Here, you have the choice of presenting your own design to a custom carpet supplier or working with their in-house designers to develop a design from concept to completion. New dye-injection technology has made custom carpet and carpet tiles achievable faster and more cost-effectively than ever. The only limitations are the project budget and your imagination. Your carpet choices may be limited by installation costs and/or the timeline for the project. Even the logistics of delivering large, heavy wall to wall rolls may limit your choices in some instances. Installation of wall to wall carpet is considerably more complex, more costly and more time-consuming than installation of carpet tiles. Before making your final selections of carpet for a project be sure to consult with both your carpet supplier and an experienced installer on all details and time required for installation to prevent any costly errors or preventable delays. For our next blogpost, we delve into the important topic of sustainability and how to judge a carpet’s carbon footprint. For more in-depth information on how to select carpet for commercial projects, download The Architect’s Guide to Choosing the Right Carpet.